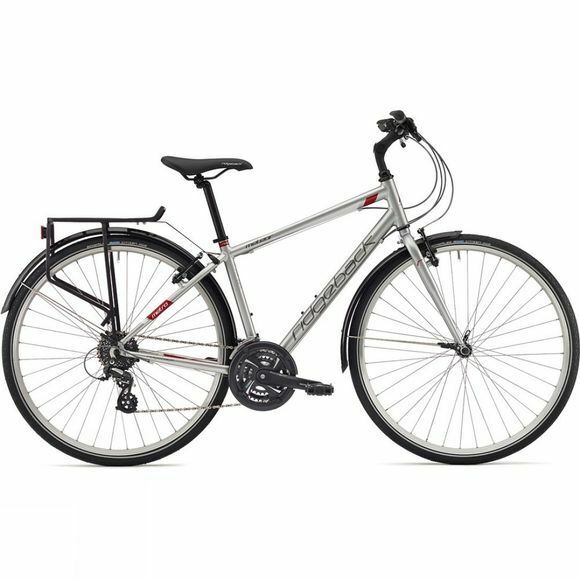 The Meteor 2018 is Ridgeback's comprehensive, equipped model from their bestselling Metro range. This versatile commuter bike was designed to provide an excellent experience whatever the conditions or terrain making it extremely reliable and practical. With full mudguards and a rear rack, it's clear that this is a bike designed for everyday use. 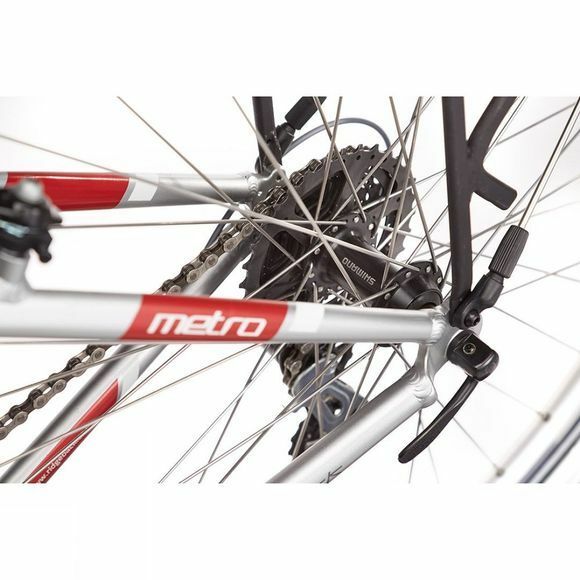 The stylish bike has the standard Metro frame with an updated look and features a Shimano cassette rear hub, Shimano chainset and an 8 speed Shimano derailleur. In short, Ridgeback's Meteor 2018 is the perfect bikes to get you from A to B.